KPX series Electric flat carts are battery powered. The batteries are installed in the carts. The batteries supply electricity to the DC motor through the electrical control system. Then the reducer drives the wheels of the flat carts start, stop, go forward and backward, and the speed can be adjusted at the same time. The professional charger can give electricity to the battery when the battery is no power. The DC motor in the KPX series' flat carts has the advantages of stable start, big starting power, small impact to the gear reducer, low voltage, long lifetime and so on. 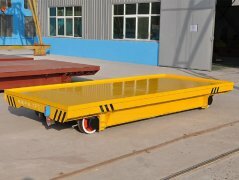 Compared with the KPJ and KPD flat carts, the KPX series are more safe and flexible. And the running distance is not limited. It has no strict requirement for the construction of the railway. 1. The Steel plate is cut by CNC cutter, high efficiently and high quality, more convenience for welding. 2. 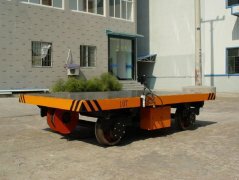 The support plates are weldless welding, make the cart more firm and long service life, little deformation. 3. The vertical angle connection plate to fix the wheel assembly. 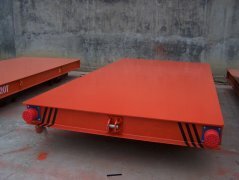 Vertical angle installation type for wheel has high demand for installation. 4. 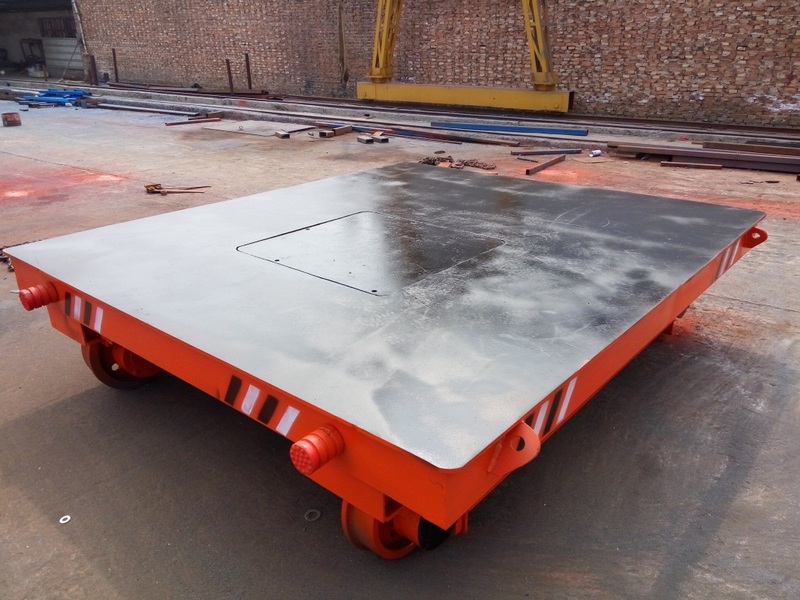 When assembling the wheels, four wheels must ensure on the same level, so we will make a inspection and make the commissioning as per inspection result.